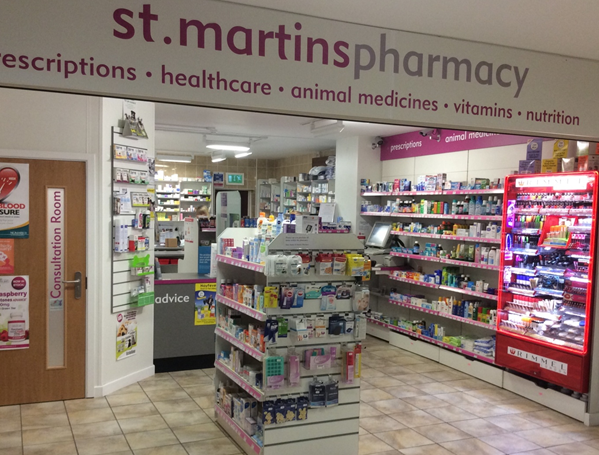 St. Martins Pharmacy is an independent community pharmacy located in Stan’s Superstore. 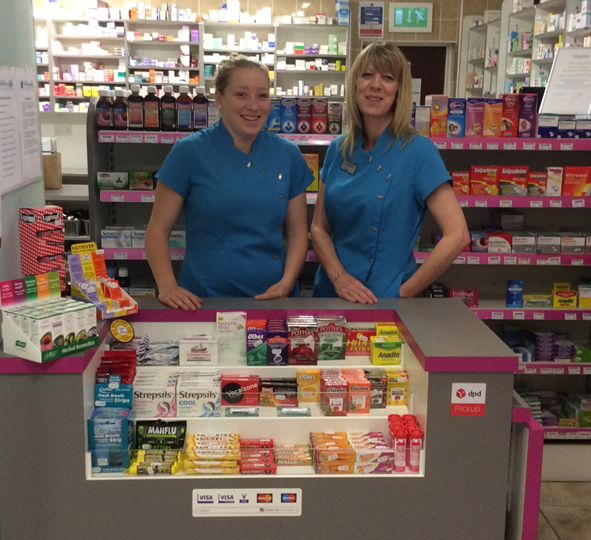 We pride ourselves on providing our local community with a friendly, efficient service with expert advice from our pharmacists and pharmacy support staff. FREE delivery direct to your home or workplace. 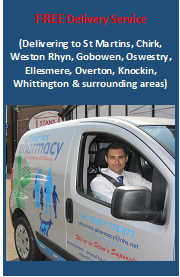 We will deliver prescriptions to all surrounding areas including Weston Rhyn, Chirk, Oswestry, Gobowen, Ellesmere, Overton, Bangor-on-Dee, Knockin and more! 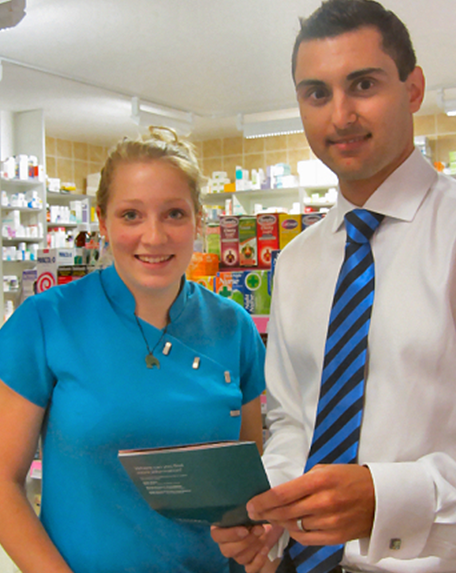 We also order and collect prescriptions from ALL Doctors surgeries.